Key Largo 19 is the ideal option to get to know the beautiful coasts of Ibiza and Formentera from a nautical perspective. The boat Key Largo 19 of 5.5 meters of length and with capacity of up to a group of 6 people offers a great versatility of use. 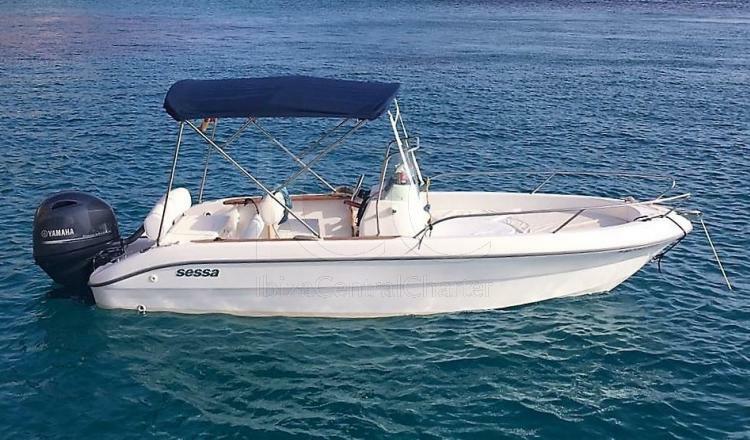 You can enjoy on board a fishing day but, without a doubt, it is the perfect choice for a day of charter with family or friends for the beautiful coves of the islands of Ibiza and Formentera. It offers great security on board thanks to the design of its V-shaped hull in the bow. In addition, it has a very practical equipment that meets all expectations to make your day unforgettable. In the bow area there is a dinette with a table that becomes a large solarium for sunbathing. The control area with windshield and handrail complemented by a seat for the captain located on a chest, ensures its comfort in navigation to be located a considerable distance from the aft seats. 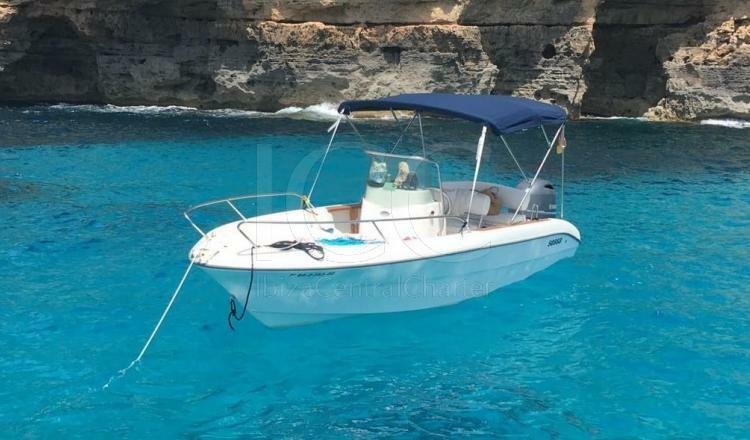 The comfortable aft seats are ideal to rest from the sun thanks to its bimini awning and give way to the pre-bath equipped with a bathing platform with a practical staircase that facilitates the entry and exit to the sea. Undoubtedly, fun is guaranteed aboard this boat.